The Paris events of 1968 were observed sympathetically by Jacques Lacan, who had a longstanding commitment to refusing to accept any pregiven order, and whose own son-in-law/heir (Jacques-Alain Miller) and daughter became members of the Maoist Gauche prolétarienne. However, the role he took up is described by Elisabeth Roudinesco as that of the ‘stern father’ who always knew better, in a way that might be construed as authoritarian, than did the revolutionaries themselves. ‘As revolutionaries, what you long for is a master,’ he told them; ‘You’ll get one …’ More importantly, perhaps, Lacan distinguished between totalitarian revolutionary movements — in which he included Maoism — and the truly revolutionary movement of Freudianism (at least as refracted by Lacan). The key issue here was that of the ‘pas-tout (not-whole)’: the Freudian revolution is that which has no ambitions to total knowledge, but allows for the fallen, divided subject. Without this pas-tout, there will always be demand for a master. Hence the parallel (failed?) Lacanian revolution of the time: the passe or famous ‘self-authorizing’ procedure for becoming a psychoanalyst. 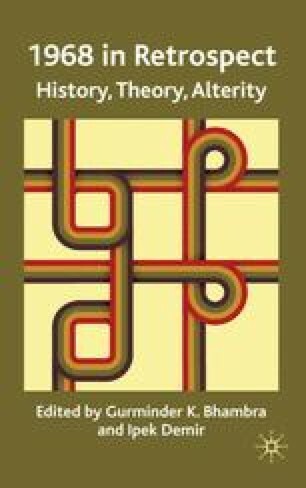 This chapter looks at Lacan’s actions and arguments of the time and examines these relationships between posturing, mastery, and radical reconfiguration.